Southern California CITYPASS discounts - Hotels Etc. 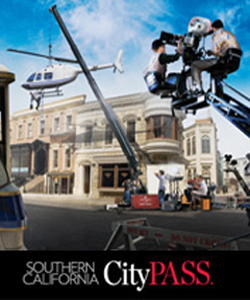 Southern California CityPass includes tickets to 5 major attractions! Including a 3-Day Park Hopper® to Disneyland® park and Disney's California Adventure™ park, 1-day admission to Universal Studios Hollywood, SeaWorld and San Diego Zoo OR San Diego Zoo's Wild Animal Park. Save Over $100.00 off Adult Regular Admission Prices! Southern California CityPass is the ultimate sunny California vacation experience. There are thrill rides, wild animals, cartoon creatures, castles, whales, movie sets, television sound stages, entertainment, restaurants and shopping for all ages to enjoy.